Yo gurl, wherez da October Faves be at?! What did you guys do for Halloween/dressed up as? My Current Favourite Drugstore Mascaras! 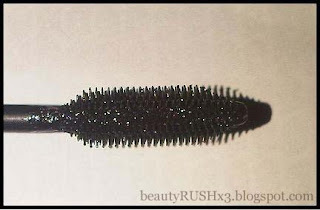 I decided to take this great opportunity to get a back up of my two fave mascaras that I have been using everyday! I used to never get waterproof, but now I have switched to WP mascaras as they hold the curl on my asian lashes so so so much better! I don't have super short stick straight lashes, but they will fall down if I don't use WP! Here are my lashes bare and curled. At first, I was not a fan of traditional bristles, and I enjoyed plastic bristles a lot more since they comb out my lashes better and not them. However, this brush doesn't clump up my lashes as much as other! 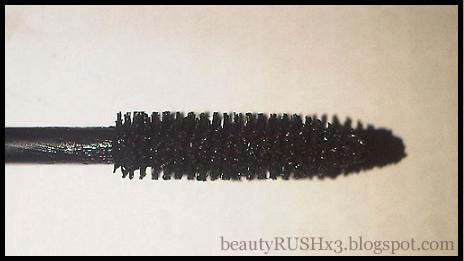 I was also not a fan of this mascara at first, I thought: "Where the heck is the VOLUMINOUS part in this mascara?!". It was very "natural" but the more I used it, the more it grew on me! It makes a great base to layer another mascara with. I used Maybelline Falsies mascara on top and it was an amazing pair! Now, again - was not a fan of this at first... This brush does have plastic bristles, however this packaging has a "clean sweep wiping system" so it rarely gets any product on the bristles so it takes a few layers and time to really build it up. But when built up, it does separate really well! 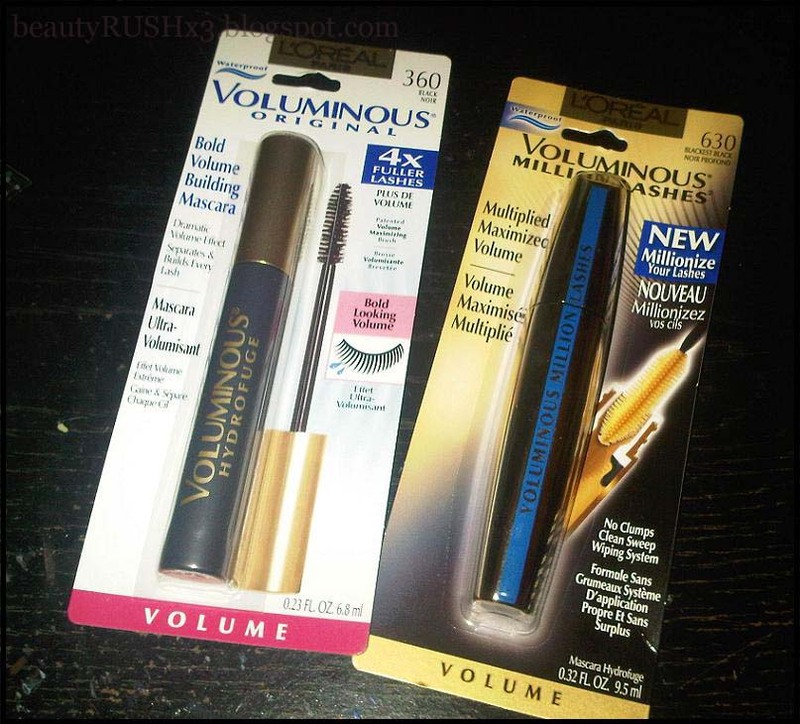 Both mascaras hold a curl very well, however I think the Voluminous Original holds up a curl slightly better and nicer (also depends on how well I curl it with my eyelash curler). They both don't lengthen a significant amount and the Voluminous Original thickens more than the Voluminous Million Lashes. However, the Voluminous Million Lashes does separate better and fans out your lashes, making it look like "a million lashes". Hope you guys found this helpful and informative or even just interesting! 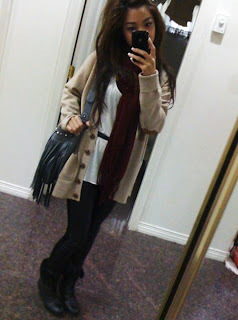 OOTD - Casual & Affordable! I was just about to head out the door to meet up a friend for some Bubble Tea & Food (for those following me on Twitter, you know I am obsessed! lol). So I decided to just quickly share with you guys what I wore because everything I was wearing (clothes-wise at least, excluding the purse) was super affordable! Hope you guys liked it! I know it's nothing super fashionable, but I just wanted to share with you guys what I normally like to wear on most days which is usually always something pretty casual because that's what I feel most comfortable in (literally)! A lot of have been requesting me to do a tutorial on my everyday makeup look/the look I had in RAEview's video I was featured in and I honestly can't really remember what I used. 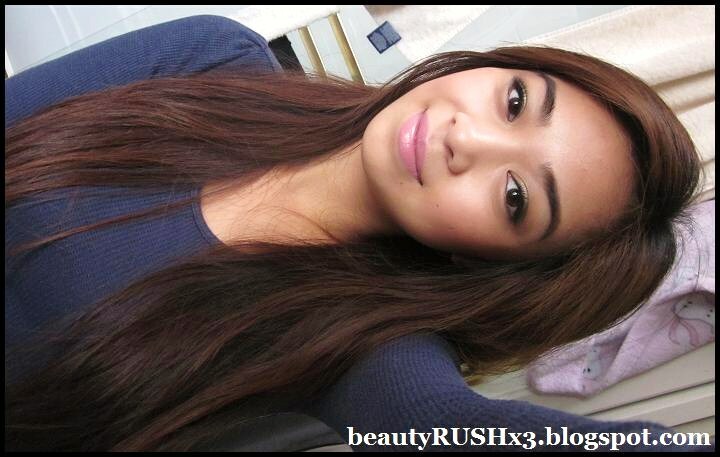 As for my "everyday" makeup look, I always switch it up everyday! Unless I'm going to work... however, this is the type of look I normally love to do.... I always like to just put any color that I'm feeling like that day on the lids and then I always put a darker color on the outer corner. 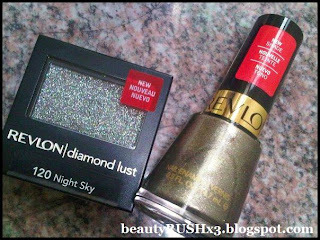 The two shades I love to put together are Gold and a dark brown/black with shimmers... ie: Loreal HIP Duo Eyeshadow is GILDED is my FAVOURITE and a perfect example of what I'm talking about! So in conjunction to showing you what I normally like to do, and using the Revlon Diamond Lust eyeshadow featured in my last post, I decided to play around and film a "tutorial"! Any requests, let me know! Hai. Originally, I had went to the drugstore to pick up a Maybelline concealer but they didn't have it so I was looking around and then I saw Revlon's new collection. I'm not sure if it's limited edition but I completely fell in love! I also checked out Maybelline's Fall 2011 Collection as well and I was going to get one of the quads that are limited edition but I decided not to since I already have a tons of neutral shades in my collection already. 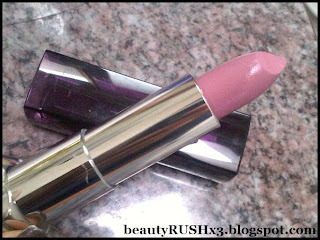 Instead, I picked up a really pretty lavender pink lipstick. I'm not sure if it's limited edition as well. I love Maybelline's Color Sensational lipsticks! Their formula is great, very smooth, pigmented and it lasts for a couple of hours which isn't TOO bad. I also like the scent of it... some don't and think it's plastic-y, but it smells like vanilla and kind of like play-doh but I personally really like it lol. First off, I want to thank all of my followers. You guys are what makes blogging/vlogging more fun :) Afterall, I wouldnt continue this if I didn't have any followers! Sharing is Caring! 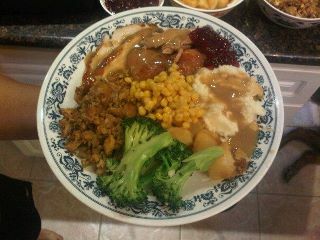 Thirdly, I am thankful for soil. Because of soil, corn wouldn't be able to grow. I friggen love corn, it's my favourite! Back to the topic... here are my September Favourites! I've been using all these products religiously and I couldn't wait to share them with you guys! Here is the video and full product list mentioned in order! I don't have pictures and swatches for all the products, sorry! 1. 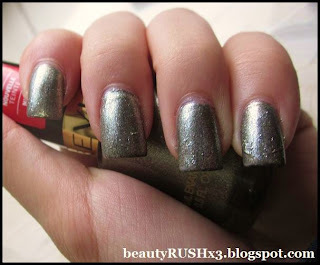 Maybelline Quad: "Designer Chocolates"
3. MAC Mineralize Blush: "Warm Soul"
6. Sephora Professional Brush: "43 Contour Blush/Bronzer"
7. Chanel Illusion D'Ombre: "83 Illusoire"
8. 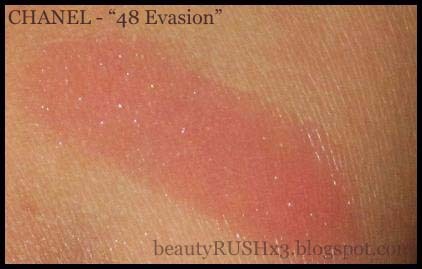 Chanel Rouge Coco Shine: "48 Evasion"
9. Club Monaco: "Jenelle Cardigan"